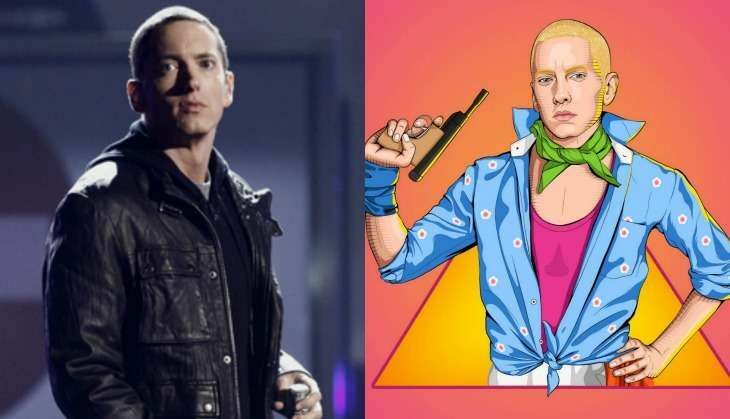 We've seen Marvel/DC Comics superheroes turned into desi paajis and annas, so it was about time someone paid attention to popular American singers and rappers. You may not have heard his name before, but after this, it might crop up pretty often. Aman Rajwansh, whose Facebook and Behance pages have gained much traction ever since Buzzfeed happened to it, is a graphic designer originally from Jalandhar. He recently posted a musical icon series called Desi Kalakaar on his Facebook page. In the series he re-imagines American pop stars in an Indian context - with lungis, rudraksh and dandiya sticks to boot. There is also a reference to singers moving to politics, what with Pitbull and his Gandhi topi. Talking to Buzzfeed, Rajwansh said he thought the "masala mix" of desi culture with western rappers "would be fun". It most definitely is.